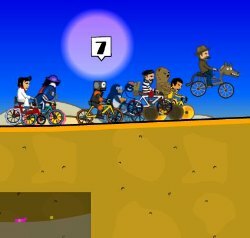 A unique cycling stunt game that involves competing against a slew of riders over 26 tracks. Along the way you will battle the walrus, the party balloon and the man eating skate haddock. Perform stunts and tricks to earn stunt points and then once your stunt meter is full, you can use boost to go faster. Fill up your stunt meter while in boost mode for a boost extension and an even faster boost. Finish in the top 3 to earn money to buy upgrades. 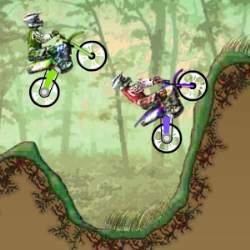 There are 20 different bikes and riders to unlock during your quest to become the ultimate rider. 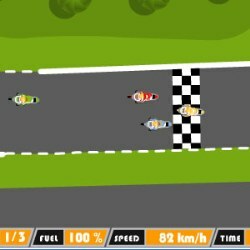 Ride your bike using the ARROW keys or WASD keys. Use the X key or SPACE BAR to jump (bunny hop). Use the B key to blow your horn (once unlocked). 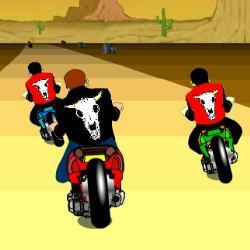 Click here to send Cyclo Maniacs to your friends using your default email program.